Kaz Grala became the youngest winner at Daytona International Speedway in NASCAR national touring series history, starting from the pole to earn his first career NASCAR Camping World Truck Series victory in Friday night’s season opener. Grala took over the lead in his No. 33 GMS Racing Chevrolet after a huge crash on the final lap that saw race leader Matt Crafton go completely airborne in his No. 88 ThorSport Racing Toyota. Johnny Sauter, Timothy Peters and Christopher Bell were among a number of others involved. Austin Wayne Self ended up claiming second, with Chase Briscoe, John Hunter Nemechek and his father, veteran NASCAR driver Joe Nemechek, rounding out the top five. 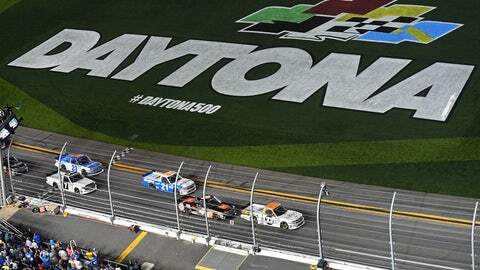 For full results from the NextEra Energy Resources 250, click here.